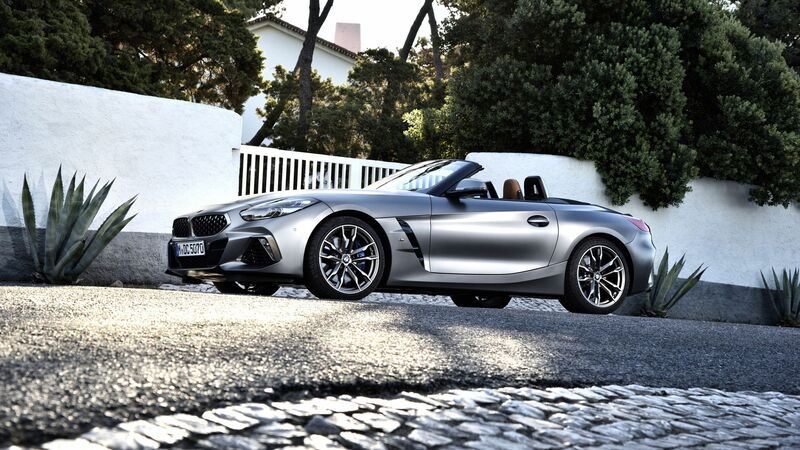 Just the other day we were telling you that the new BMW Z4 can now be configured via websites in Europe. The UK one might be the most appealing to you in such an endeavor as it uses plain old English as well. As it turns out, the UK branch of BMW is currently also rolling out its first marketing efforts to get people more familiar with the new model, launching a first commercial with the Z4 as the star. The short, 30-second long video shows the car in what may very well be the most striking color of the current paint palette: San Francisco Red. The car in the video is also the most enticing model you can get right now, the BMW Z4 M40i. In Europe that means it comes with the B58 3-liter straight six engine but toned down to 340 HP and 500 Nm (369 lb-ft) of torque, nearly 50 HP less than the US-bound version. You gotta love the WLTP test cycle! The Z4, however, is also available in a couple of different guises in the UK right now though. You can also get the roadster with a 2-liter 4-cylinder turbo engine with two different power outputs. The sDrive20i has 197 PS at its disposal and does the 0-62 mph sprint in 6.6 seconds while the sDrive30i version has 258 PS under the hood, even though it has the same displacement. This model will do the same benchmark speed in 5.4 seconds. You can also have your pick between two different specs: the Sport and M Sport lines. The Sport line looks a bit more sedated while the M Sport version not only looks meaner but also comes with a couple of additional bits as standard, such as a stiffer, lower suspension, a different exhaust sound and others.